Roses are ravenous plants, and the perfect food goes a long way to maintaining a healthy rose plant. Here at Michigan Bulb the way we offer the best value product for the best price is by partnering with the right people for each job. That's why, for roses' particular appetites, we knew to partner with Gardens Alive!, the best all-natural fertilizer company in the game. 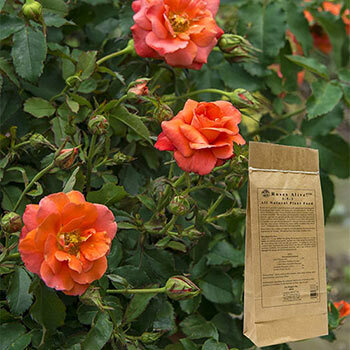 This fertilizer uses a 3-5-3 formula to meet the demands of all the different rose varieties on our website, from hybrid teas to climbers. 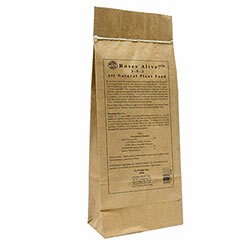 It targets the soil, building up the nutrients in your existing garden bed. After all, healthier soil supports healthier plants. The steady, slow-release supply gives your roses what they need when they need it, and takes less applications, too (just two per year). The root system will be stronger, the roses bigger and the plant more disease resistant. Use 1½-2 cups per plant.